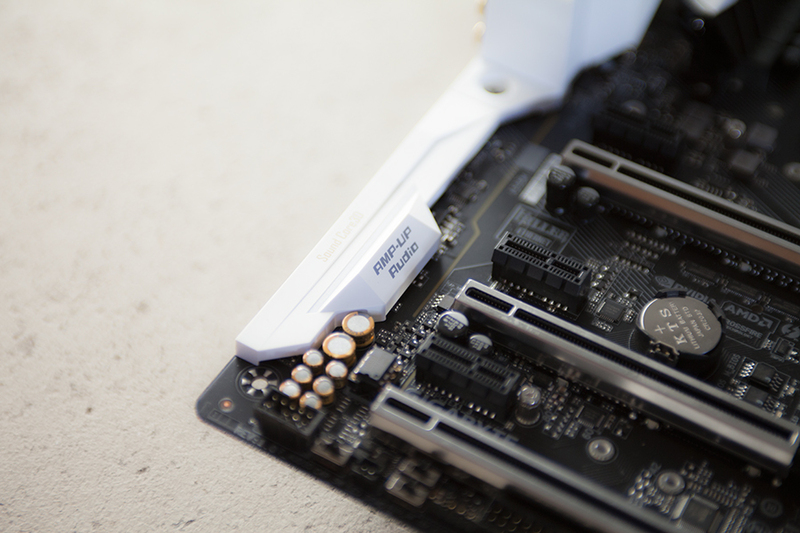 Next up is Gigabyte Z270X Gaming 7! 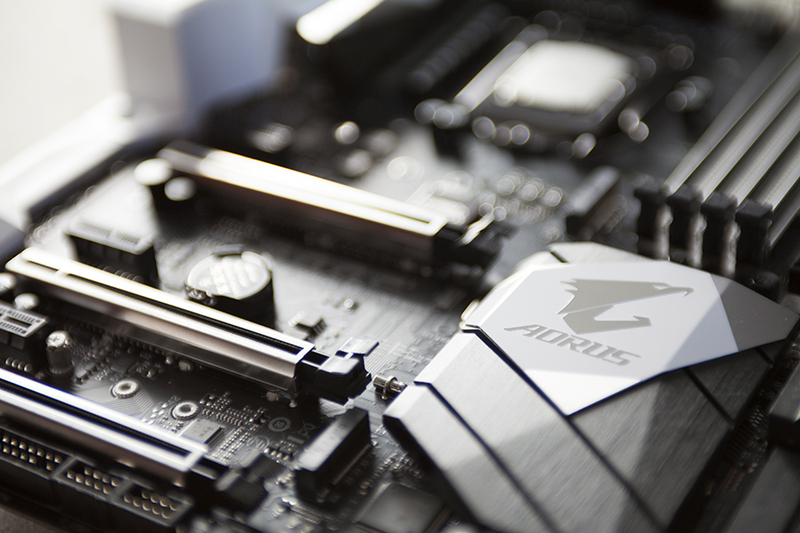 The Gigabyte Z270X Gaming 7 is an AORUS brand premium motherboard for Intel 1151 socket, meaning it’s built for a Kaby Lake CPU such as Intel Core i5 7600K or i7 7700K. 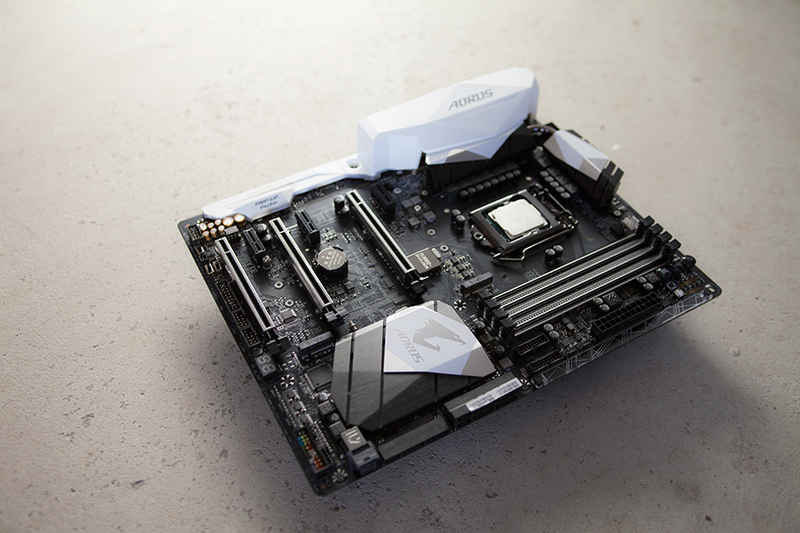 This motherboard is probably one of the best looking boards I’ve seen so far. It has got a black bottom with chrome, silver and white details added. No color at all on top of this one which will probably make it a good choice for many systems and configs. When turned on there is RGB LED lighting almost everywhere that can be customized how ever you like. To this build I’ve chosen an Intel Core i5 7600K CPU. 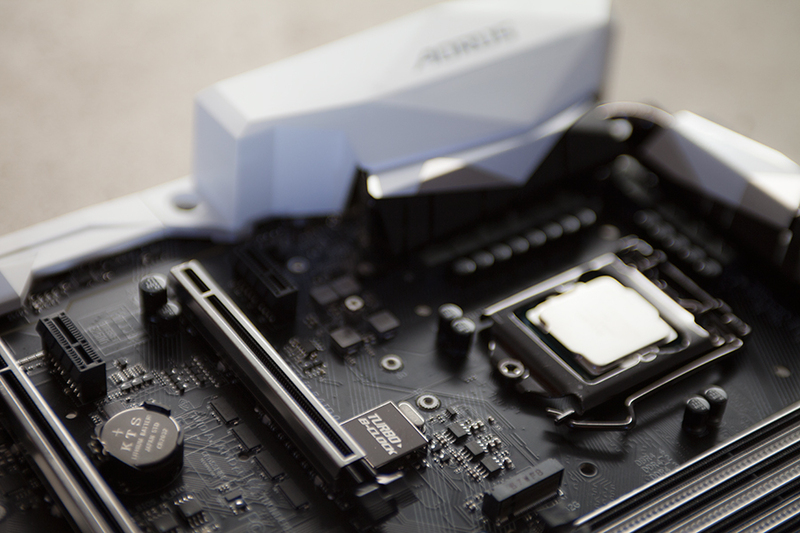 It’s quite a bit cheaper than the 7700K and due to that performance isn’t as good. It will actually be interesting to see if it’s enough to run along GTX 1070 in SLI. We’ll see about that later!